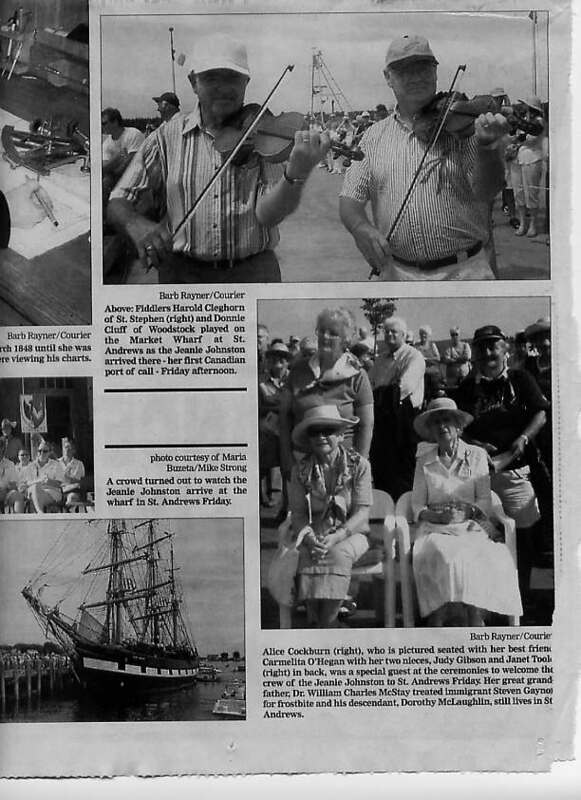 Many Irish immigrants fled to North America to escape the Potato Famine. 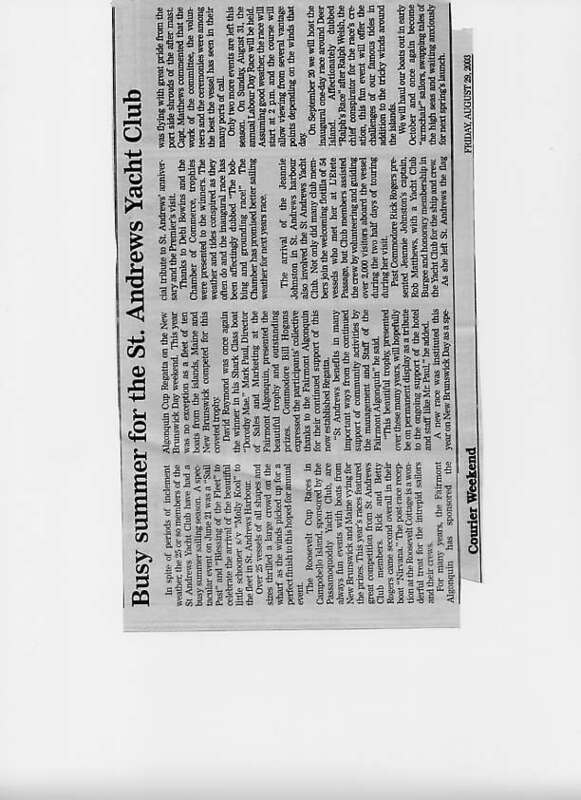 In 1853 one of the last of these ships came to St. Andrews and descendants from those on board still live in the Town. 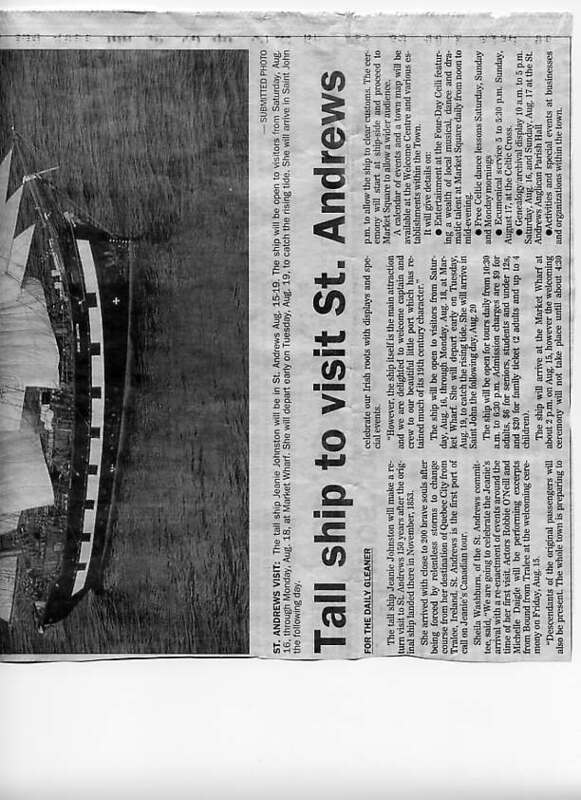 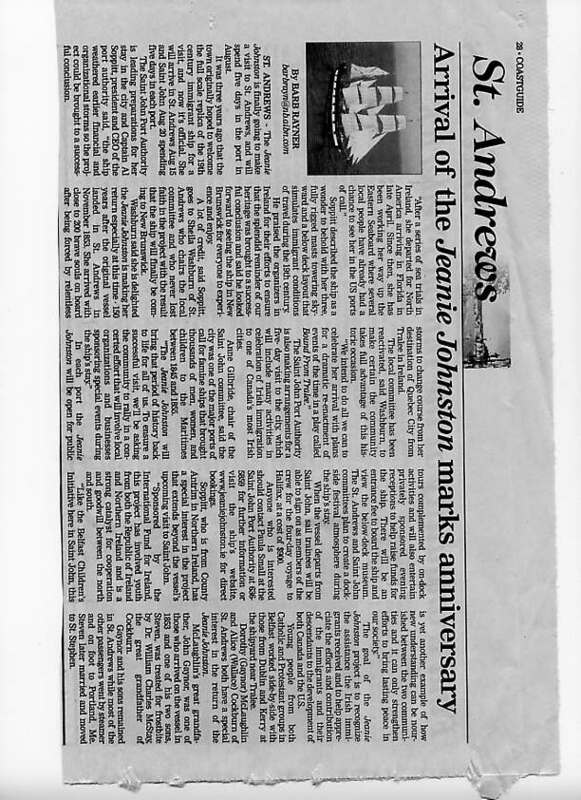 It was therefore right and proper that the replica of this ship, the Jeanie Johnston included St. Andrews in her 2003 voyage up the Eastern Seaboard. 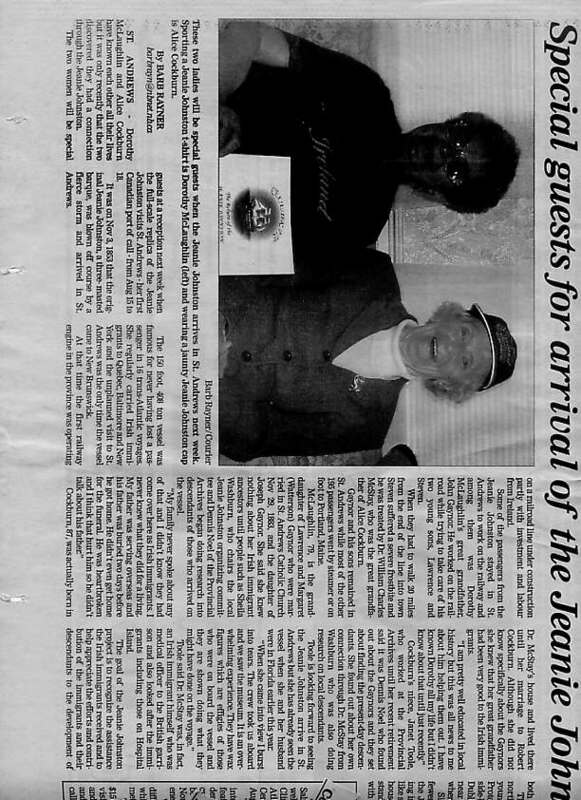 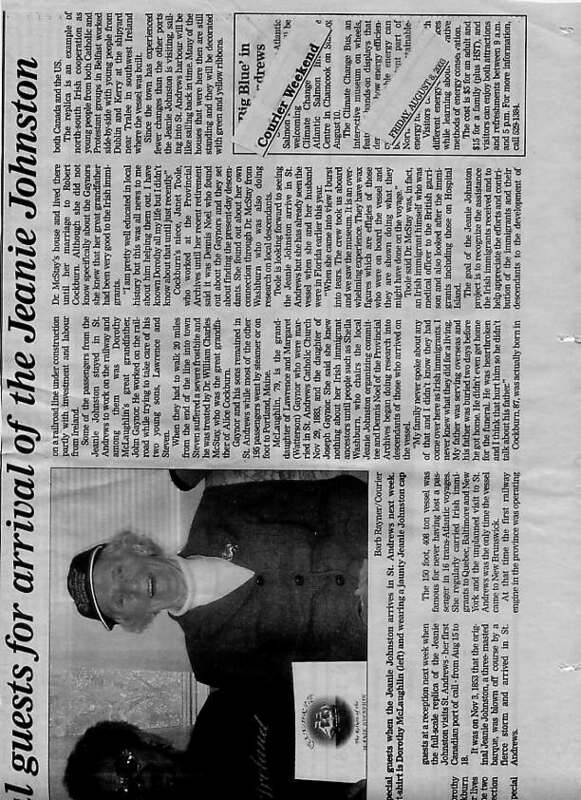 The Regional Development corporation of the Government of New Brunswick contributed $1000 towards the Return of the Jeanie Johnston to St. Andrews New Brunswick. 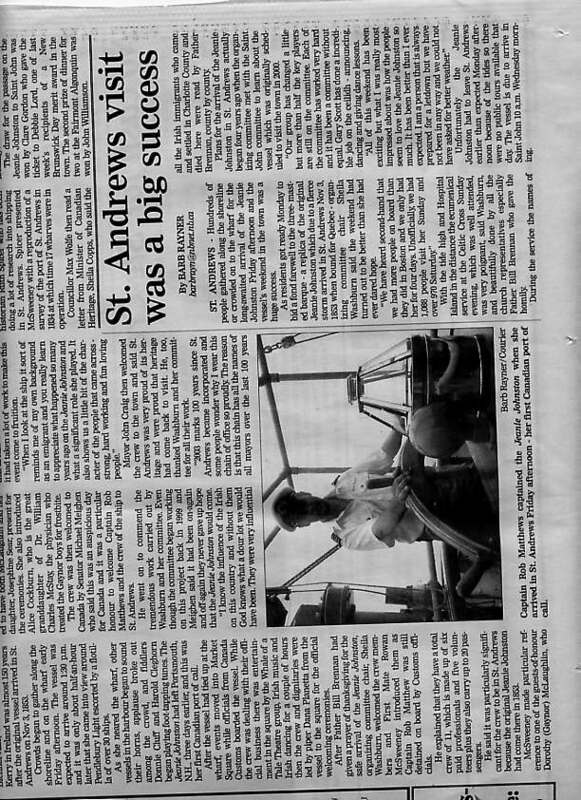 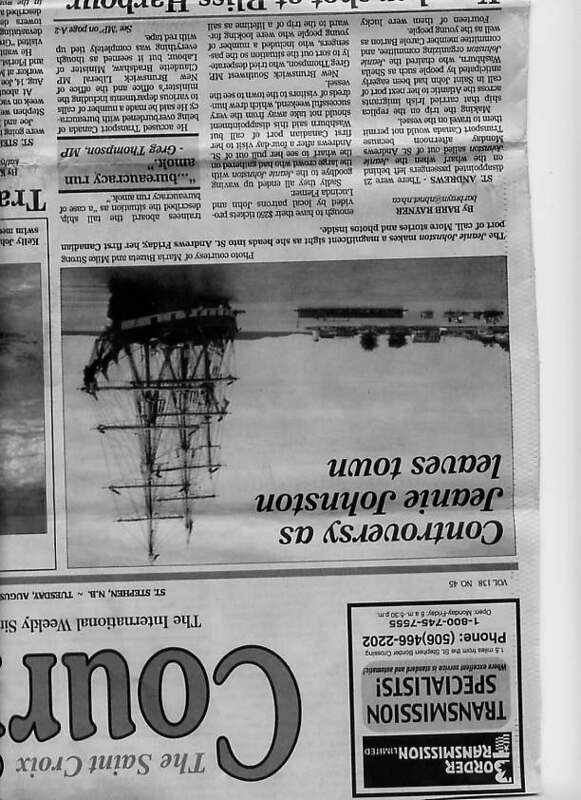 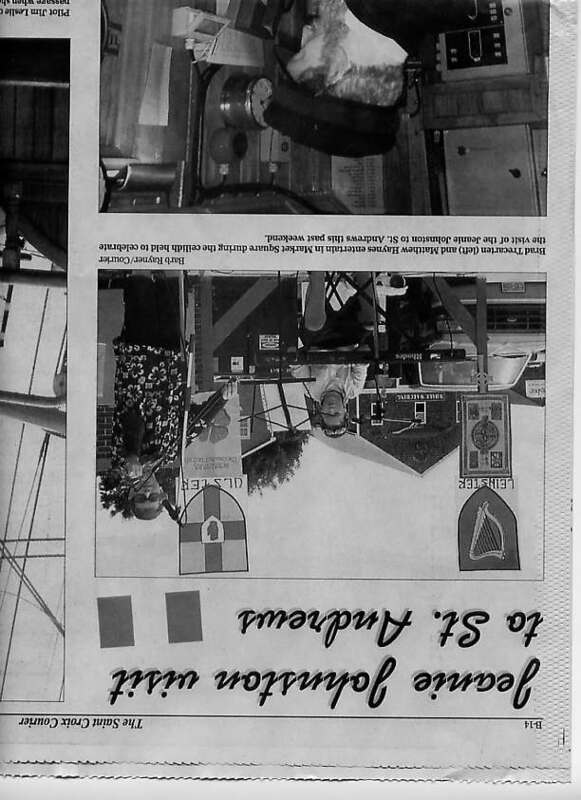 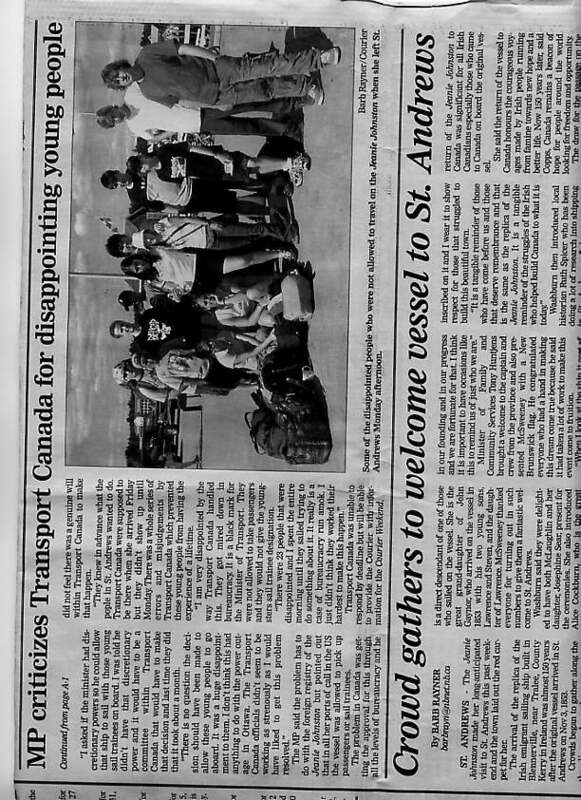 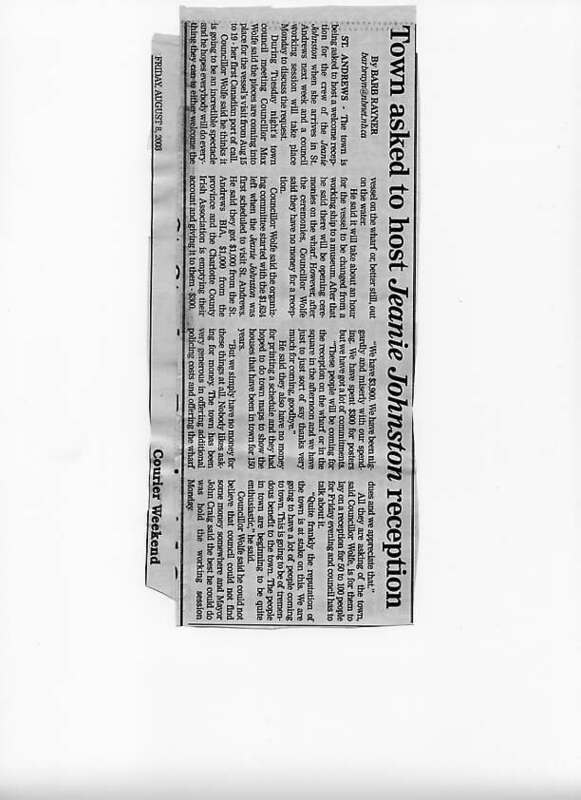 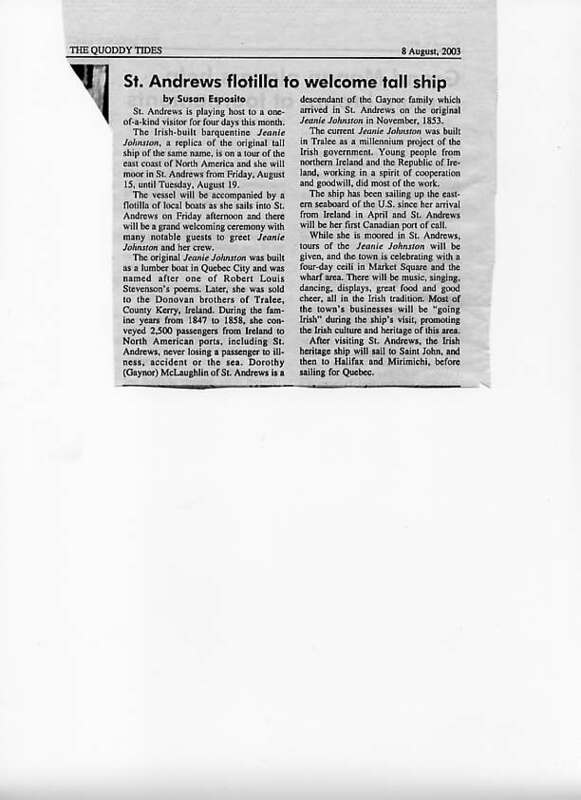 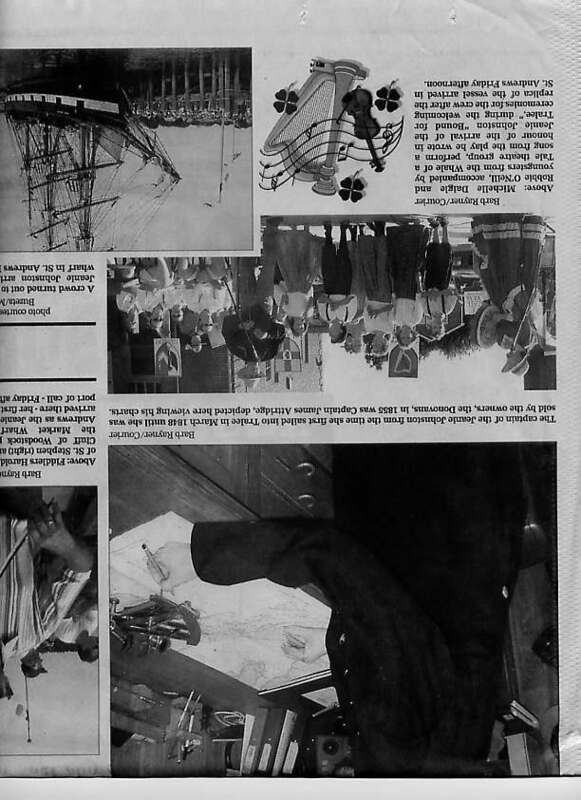 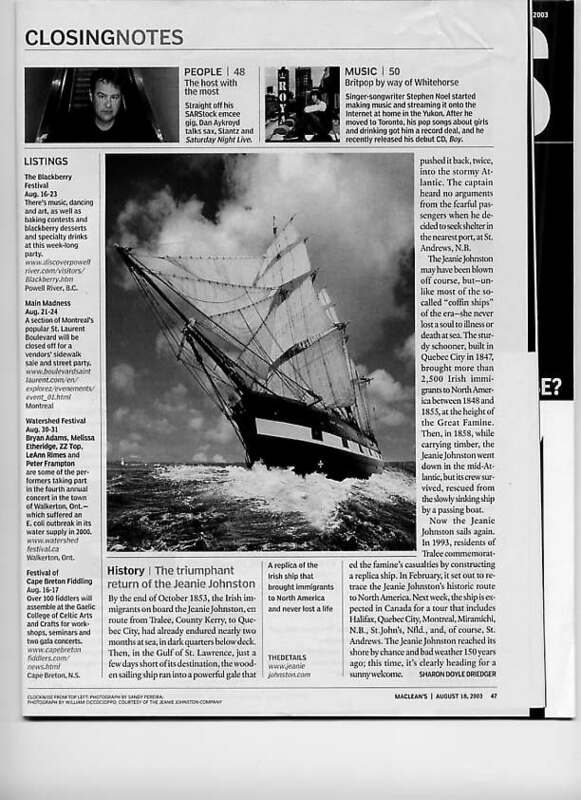 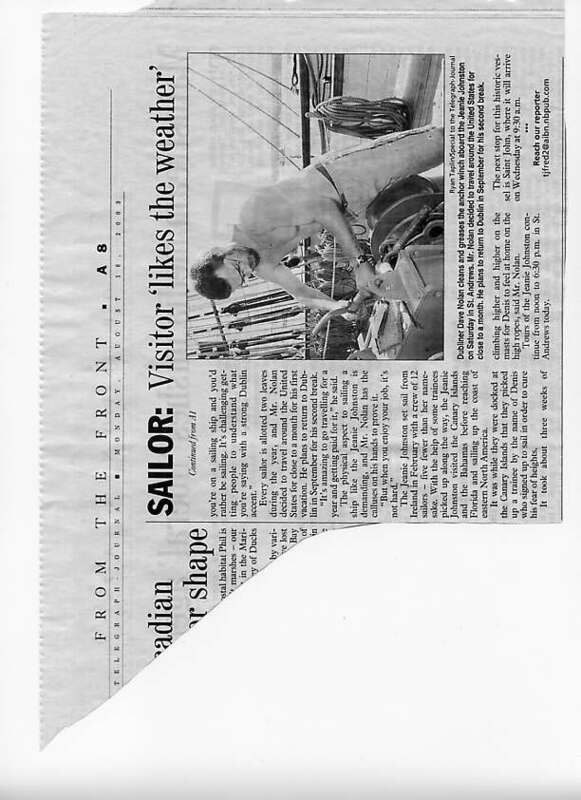 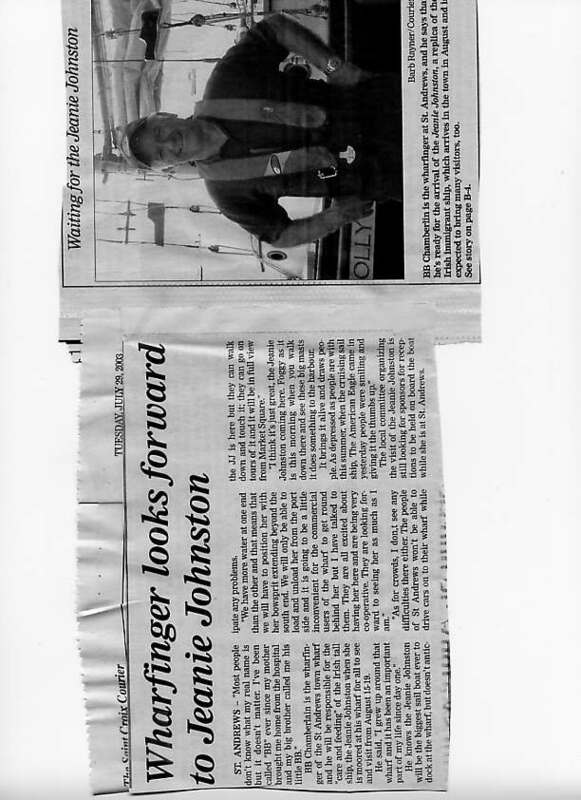 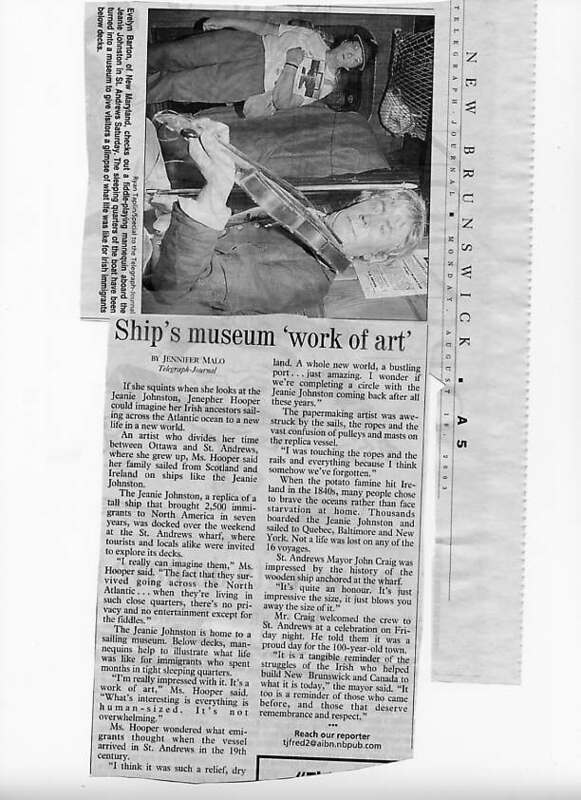 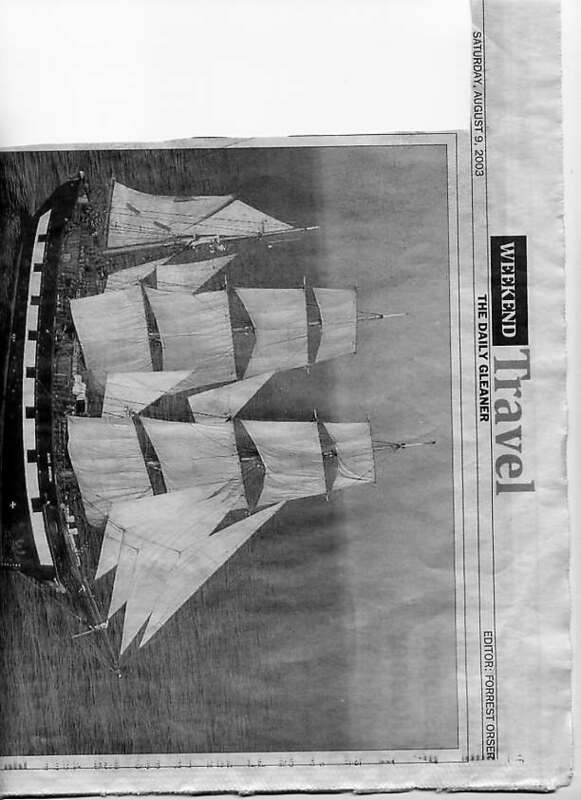 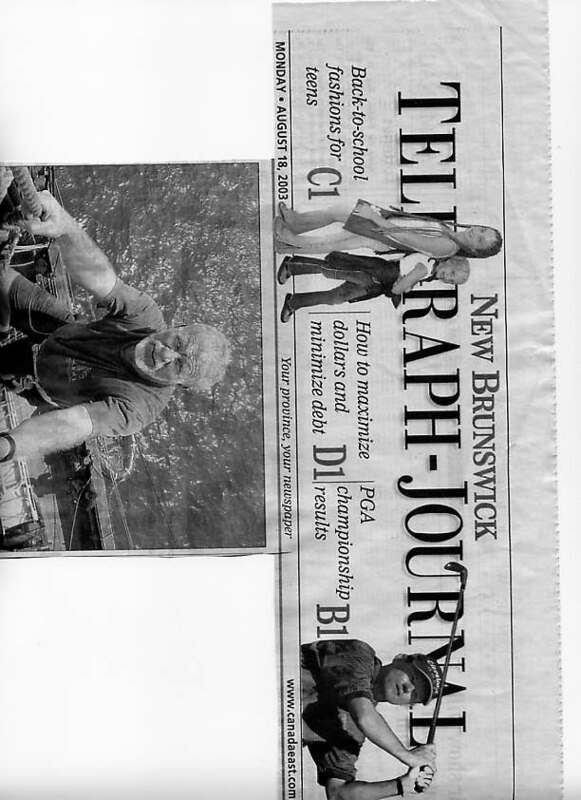 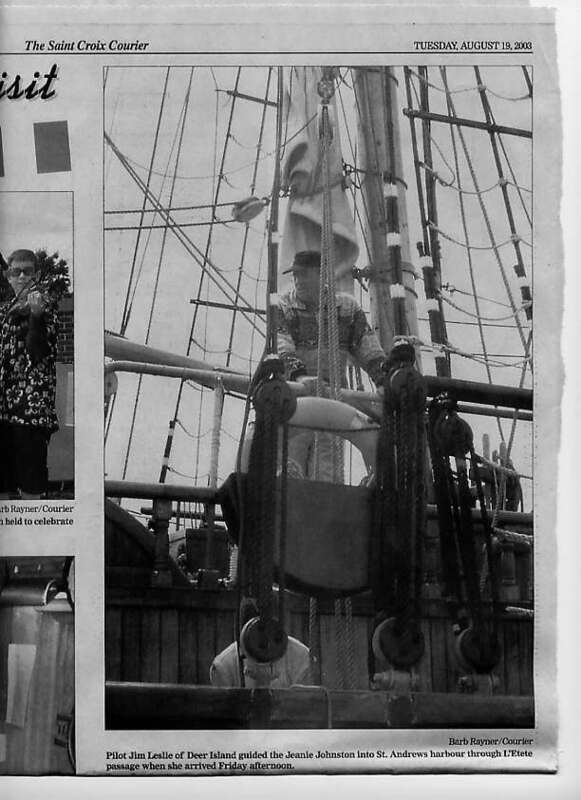 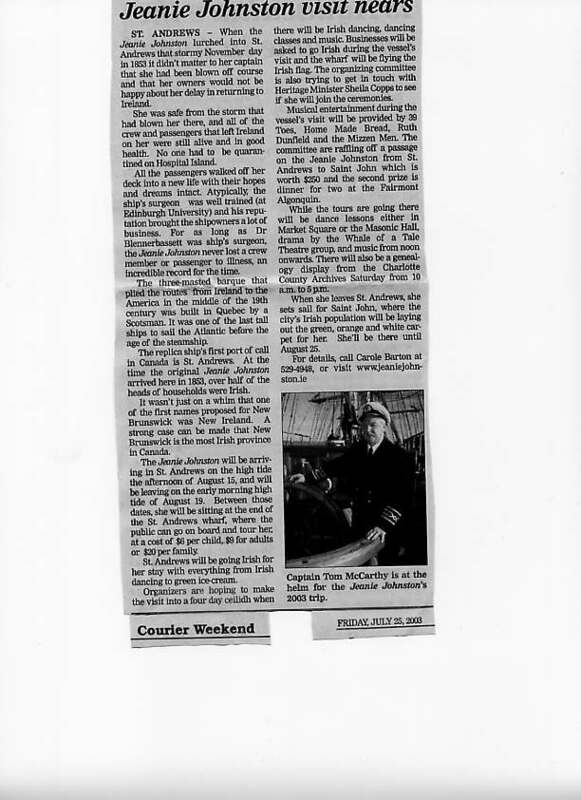 After the visit, the organizers in Ireland requested that we send them copies of the clippings on her voyage. 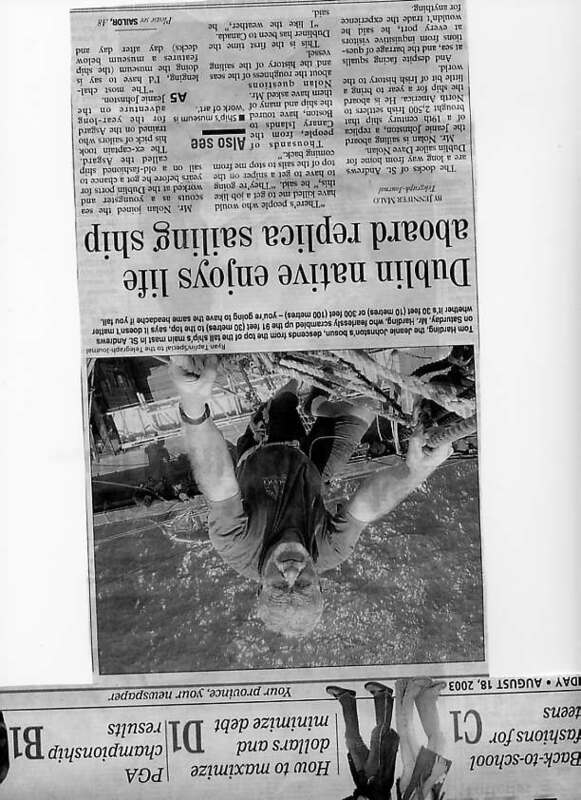 This page was created to give them access to scanned versions that could be reprinted for their purposes.